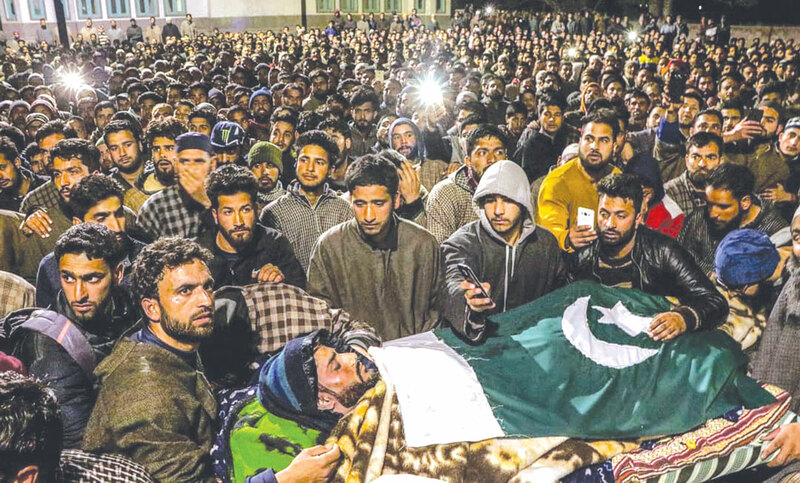 It was around 11:30 pm during the intervening night of March 17 and 18, when Asadullah Pandit, a resident of Awantipora, was woken up by frantic knocks at their door. As he opened the door, it was a police contingent standing outside. They said nothing. Instead, they hurriedly made their way into the house and started asking about the family members present in the house. Some went upstairs and started searching the house. By then, all of the members had huddled at one place. Mubashir Asad, his eldest son, was asked if militants were in their house. One by one, all the male members were asked questions which they found strange. Rizwan Asad, 29, his second son, was asked more questions. Soon, the cops went into his room and searched it for half an hour. Before leaving the place, they took six cell phones, a laptop, a pen drive, a torch, along with Rizwan. Rizwan had been in the police custody earlier too. Last year, on August 16, Rizwan was summoned to Police station Awantipora. Without informing anyone in the family, he presented himself. He was instantly locked up. The same day, police called his brother Mubashir and told him about his detention. Then, Mubashir was a school teacher. He left the class midway and hurried to the police station. But neither he nor any other family member was allowed to meet Rizwan for three consecutive days. “Every morning, we used to go to the police station and return in the evening without meeting him. We were not told for what crime he was detained,” Mubashir said. The police station is just a walking distance from Pandits’ home. Three days later, his family was allowed to meet him. “He had been subjected to physical and mental torture,” alleges Mubashir. 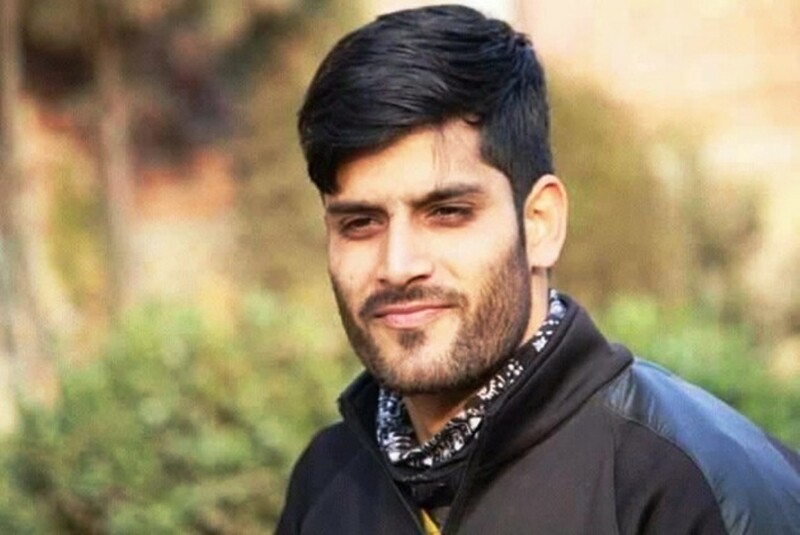 Rizwan was there for 10 consecutive days without any charges when on August 26, police in a statement said they have apprehended some ‘over ground workers’ from the IUST vicinity. An FIR was lodged with terror-related activities in the name of Rizwan which his family claims was ‘fabricated and false.’ Also, the two mobile phones that Rizwan was carrying were taken away and are still with them. “How a person arrested 10 days ago can be framed in something that happened on August 26,” questions Mubashir. Finally, Rizwan was slapped with a PSA and shifted to Kot Balwal Jail, Jammu, on September 8. Even though the court had quashed his PSA and bailed him out, he was still kept in the custody. “Even after getting the bail, he was kept in illegal detention for 16 more days,” said Mubashir. He remained behind the bars till January 06, 2019. Post-release, Rizwan continued his normal life and joined Sabir Abdullah Public School where he was principal. His recent arrest was his second one. This time he proved unlucky. “The police party was headed by the DySp operations Awantipora. He was the one who warned us,” alleged Mubashir. Earlier that day, Rizwan had gone for a feast to some friend’s place. Around 4 pm, he called his father, told him he would stay there for the night but Pandit refused permission. “I thought it is not safe to be out for the night,” said Pandit, not knowing the fate. After he was arrested, the family did not sleep. Next morning, they went to the local police station. “He is not with us; it was the Cargo team who took Rizwan with them. We have nothing to do with it,” the family said they were told. The news was shocking because Mubashir knew ‘what it means to be in the Cargo’. But cops dispelled their fears, saying Rizwan was taken for questioning and once they will be done, he will be set free. With no option other than to wait and hope for the good, the family was awaiting his release. Only a day after Rizwan was picked (March 19), the Islamic University of Science and Technology Awantipora (IUST) was closed for no reasons. It set tongues wagging everywhere. As the news reached Pandits’, they rushed to the police station. “Rizwan was injured during interrogations and is now hospitalised,” they said they were told. Still figuring how to respond to the situation, they saw photographs of Rizwan, dead, on the social media. Police had picked him for the “links with the militants”, which the family refuses. Rizwan was MSC chemistry from Dehradun and was also tutor at the Elite Group of Tutors, a coaching institute. Police finally asked the family to collect the body from PCR. They refused. “You have snatched him from us why will we get it from there. We will collect it from you,” Pandit told Awantipora police. As his body reached home and was taken for the funeral bath, Rizwan’s body displayed extreme torture marks, the family said. While police announced an internal investigation, the government set up a magisterial enquiry. Police said they cannot talk as a magisterial enquiry, by a revenue officer in Pulwama, is in progress. The pen drive and laptop that was taken by the police was not of Rizwan’s but the gadgets belong to a contractor cousin of theirs. He had some important documents ready in the pen drive. So he had to ask Mubashir for the Pen drive. “I saw DySP of the concerned police station with white headphones on, lifting it from Rizwan’s room,” said Mubashir to his cousin. So they went to the police station to get the important data out of the pen drive. They contacted the DySP and told him about the data inside the pen drive. “He sent a cop and asked him to get the pen drive out of his pant pockets,” said Mubashir. Under a tight vigil, they were able to retrieve the data.